The OASYS Theme Park, nestles in the desert of Tabernas and it is part of Almeria's famous Mini Hollywood. Have you been to Oasys Theme Park? Share your experience and review with us here >>. 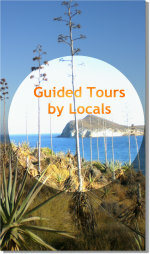 Other travelers do want to know! 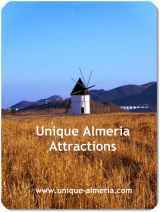 It is the result of several years of dedication and work, an investment year after year, pushing for a place that is part of Almeria’s culture. It comprises an area of about 30 hectares, a Western Village, a Zoo and a Pool area (which opens to public in summer). There are more than 4.000 trees and about 20.000 plants giving shelter to some 800 animals of 175 different species (many of them protected and several endangered species). The Old Western Town was built under instructions of Sergio Leone, Director of: ‘A fistful of dollars’ and ‘For a few dollars more’…. It has been part of Almeria’s filming locations ever since. Please scroll down to the end of this page for information about how you can book the Western Town for a shooting or for an event. This was the first and most famous film location where world renowned spaghetti westerns were shot. The hotel chain Playa Senator recovered and renovated all the historical movie sets with an extraordinary fidelity to the original. Oasys Theme Park offers daily Western Shows that let you enjoy the old Wild West intensively performed by actors. There are shows at 12.00h and 17.00h and during the summer from June 1st until September 30th, there is an additional show at 20.00h. Here you will experience a gunfight in the town square that ends (you’ll actually hear the spectators sigh of relief) with an outlaw hanged next to Sheriff's Office, all this accompanied by Ennio Morricone's music. This Western town, takes you back to the spaghetti western movies we have all seen on TV and cinema. You may also enjoy a real Cancan dancing show performed by Cancan girls in the Yellow Rose Saloon at 13.00h and 16.00h, plus an additional show at 19.00h from June 1st until September 30th. After you have experienced the excitement and drama of the gunfight in the town square which I am certain that you will think was a great show, no doubt your stomach will remind you that it is lunchtime. No problem, just pop into the Arizona Restaurant, located next to the bank building. 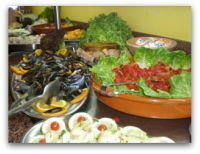 The Restaurant is open from 13.30h to 16.00h, enough time to treat yourself to all the delicious dishes from the buffet. 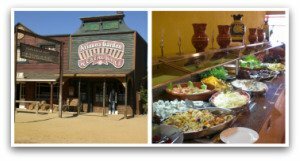 You probably realize that we have visited the Oasys Theme Park often because the kids are so fond of it, but to be honest, to me the very best of all is this restaurant. The buffet is so wide ranging you will surely find your favorite dish amongst salads, beef, paella, fish, and ah!... the variety of deserts, eat as much as you can unless you really have to watch your weight. The price is 16 euros for adults and 10 euros for kids, but if you pay at the entrance you will save 2 euros per person. The restaurant seats 400 people and has a small swimming pool where you can cool off. There is a coffee bar where you can eat barbecue meals, and along the route through the zoo there are different bars to have a drink or an ice cream. 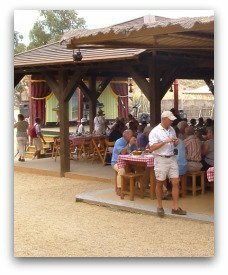 The African Bar and the saloon offer hot and cold snacks, and finally you may bring your own food to enjoy in the picnic area. 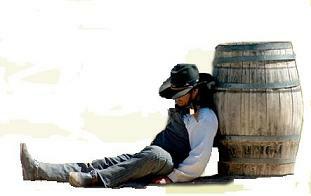 Feeling tired after a great lunch? Want to take a nap? - Not yet, later. The cinema museum is located in the Bank building. It's collection provides a walk through different periods of time, displaying original models of projectors, posters and multiple cinematographic accessories from the beginning of the last century until today. The collection includes 150 pieces of projectors, large and small flashlights to kaleidoscopes, some of which date from 1800. This collection is completed by a series of 213 posters of spaghetti westerns shot in Almeria. 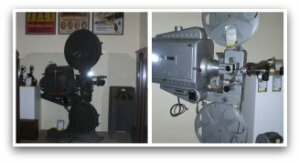 An area where visitors can find everything from inventions of pre cinema (time before movies), to the first projector with sound (the end of the silent movie era). Here you will see the emblematic wagons and stagecoaches, that converted actors into legend ones like, Gary Cooper, Clint Eastwood, Lee van Cleef etc. All wagons are conserved in perfect conditions since the time they were used for important productions. 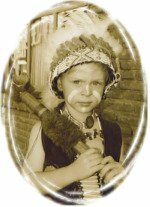 Disguise yourself as General Custer, Daniel Boone, Indian Squaw or Utterly Useless and take some photos with you as an Oasys Theme Park souvenir. Actually, the little ones will enjoy, my little nephew was so proud to be a real Indian.. There is also a nursery where the little ones can sleep, play and paint while mom and dad pop into the souvenir shop, visit the cactus garden or sneak around Oasys Theme Park on their own..
Ok, I promised you to have a rest to refresh yourself. - Let’s sneak over to have a dip into the swimming pool! Kids will love the slides, while you relax in the whirlpool or take a nap on a pool lounger (don’t need to hire them, just grab one, they’re free of charge!). Enjoy the beautiful views from here all over the entire Safari Park. The pool bar will provide you with a soft drink and ice-cream for the kids… - By the way, the pool only opens from June, during summer months! Recharged batteries already? Time to continue our tour! This is a place within the Oasys Theme Park, where you will discover the biodiversity of the planet, the reality of many species that are endangered and that we need to respect and protect. The Oasys Safari Park stretches along an area of 25 hectares, with animals representing five continents. White rhinoceros, a giraffe, brown bears, a white tiger, rheas, zebras, turtles, lizards, prairie dogs, a house of small monkeys, a crocodile pound, coypus, peccaries, toucan, lamas, guanacos, a pheasant house, lions, dromedaries, camels, emus, wolfs, great kudu, capybaras or a reticulated python are only a few of the animals that you will see. Thirsty – need to refresh yourself? Just watch out for the fountain drinks you will find at each step. Or let the breeze of waterfalls cool you off. There is also a little train (you can take it after you crossed the valley, on the other side of the zoo, next to the giraffe!). 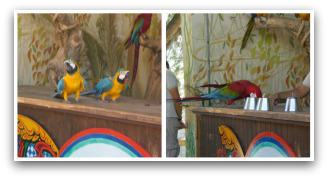 OASYS Theme Park has launched the Nature's Classroom, an educational project for schools and colleges that makes children and adults learn a lot about the animal world and nature in general and don’t miss the Parrot Show in the amphitheatre of the Zoo reserve (at 11:00h, 15:00h and 18:00h)! What a day out! Hope you enjoyed! Missed something? Didn't have enough time to see everything? - Nevermind, you can repeat another day! Update: Since I put this page on-line, I have been receiving quite a few emails, asking for information about how to book the Western Town for a shooting. Well, last August I did my homework while we spent another day out at Oasys Theme Park. This time, I asked for the Director and I was lucky. He was around and I met him, right after the shooting salad show. But what a surprise! I expected a stiff businessman, instead, I was introduced to a nice guy namely José Maria Rodríguez, who is not only the Director of the Theme Park but also the Veterinary of all the animals out there! It was a real pleasure to talk to him. So, if you should be interested in a shooting, you may want to send a direct email to José Maria by means of the email form provided below. 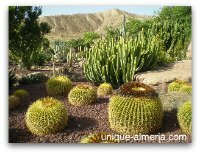 Visit Almeria's Top Filming Locations..
or Visit John Lennon's strawberry fields..
Have you been to Oasys Theme Park? Please share your experience with us!